I thought I would just add this great site I just found out about. 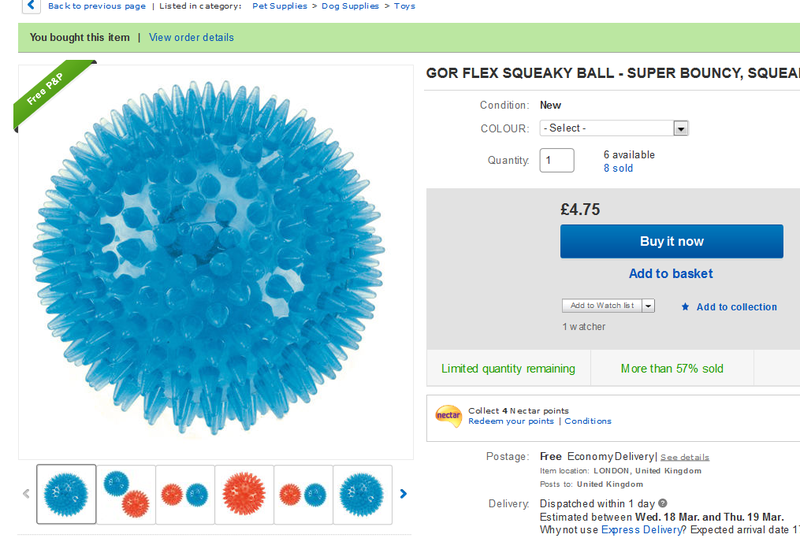 I ordered some squeaky balls for our Sprocker puppy and saw these on ebay. The balls are fantastic quality as I have had a couple before on Amazon, but more expensive. I ordered 2 on Thursday Evening about 5PM and to my amazement they arrived the next morning around 8AM. I was gobsmacked at the great service and messaged the seller. She was so nice and thanked me for my kind words and feedback and mentioned that she helped with rescue dogs. Leading on from that, Sally mentioned their website just in case I wanted to have a nose. 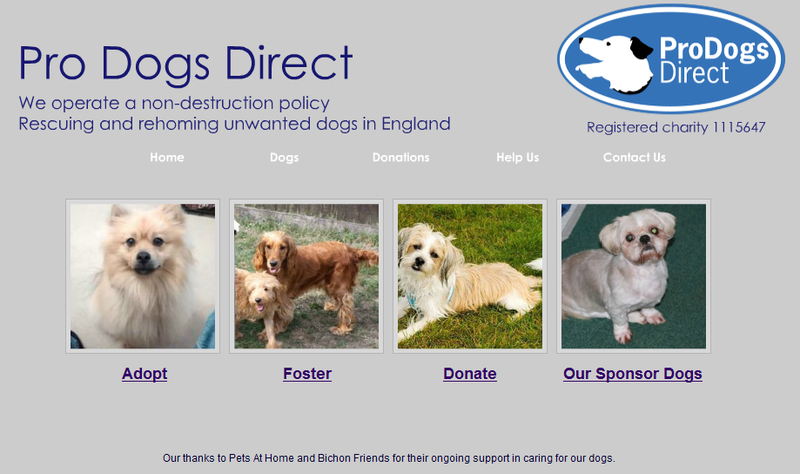 So for anyone that is thinking of rehoming or rescue dogs or adoption or wanting to make a donation, please have a little look at their website. I just wanted to physically make sure what was on these and just having a closeup look. The large ring is fully ENGLISH HALLMARKED. Not a 925 stamp. It is quite difficult to see but definitely there. There is actually a 925 stamp on the underside of the mouthpiece, which is shown on the 4th image. >>>>Hi is the hallmarked pls? thankyou for contacting us about hallmarking. No, the Eiffel tower is not hallmarked. It is made in the UK and as is sterling silver. As it is under 7.78 grams the UK law does not require any type of marking. I’m afraid we don’t have any engraving facilities at all. The link below takes you to the page on our website. Please note that these are subject to change at any time. 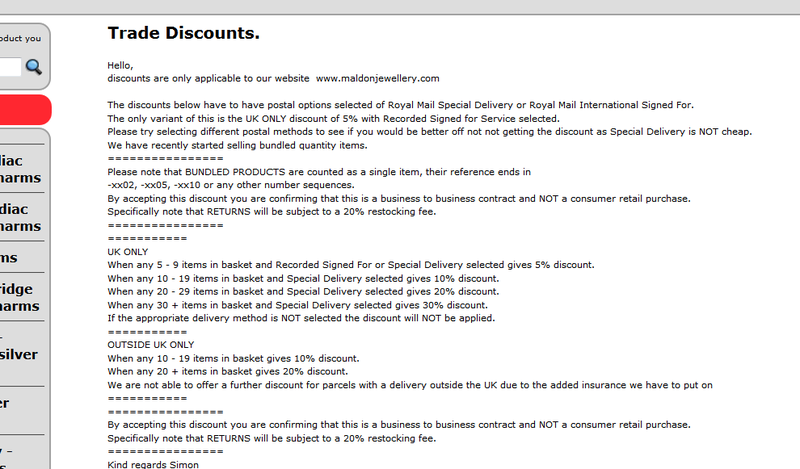 Royal Mail special delivery has to be selected for the majority of the UK discounts apart from the the 5% discount that requires at least Recorded signed for. The maximum we currently do is 30% so as long as you have 30 or more items in your basket and select Special delivery, the discount will show on your order screen. If we can help any further then please let us know. could you tell me if you do any wholesale or trade discounts at all.